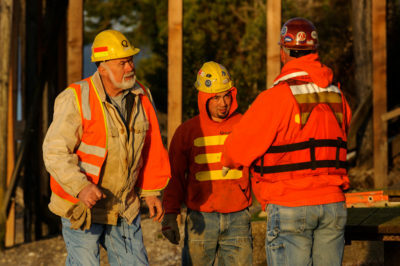 Quigg Bros., Inc. is a member of the Associated General Contractor’s “Safety Team”. Our EMR factor has consistently been below 1.00 for over 17 years. This accomplishment is the result of the total commitment for safety from the management, a low turnover-rate among supervisors, the implementation of a drug/alcohol policy, job-specific safety checks, cooperation with the regulatory agencies and frequent on-site safety meetings. Pre-project planning identifies the QBI tasks to be performed and how they can be accomplished safely. We review all jobs, ensuring they have the right personnel, with the proper training and equipment.